Download Log in or Sign up to download this ep for free using BitTorrent! Available in FLAC and MP3 formats. Do it funky ! 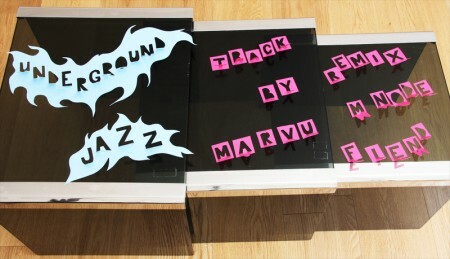 Immersed in tribal landscapes of dancing dreams; Marvu, the man for good vibes, presents his first Fantomton release !!! “Underground Jazz” captures a deep & playful atmosphere which sends groove and melody on an aural honeymoon trip. M-Node reminds us of the golden days of electronic music and reconstitutes the original without detracting from the source. The trajectory of this track reaches a climactic boiling point!! The trip continues with Fiend’s remix honouring us yet again with well tempered vocals ! Only she can say which way it will go ! !